League of Legends | The best services - LeagueFighters.com - League of Legends fan blog | Champions review, patch notes. Congratulation! If you are reading this article, then you play in the most attractive, advanced, and great moba – League of Legends. Here I will highlight the most popular gaming services that you could use in the future. They provide the most advanced information about the game or propose boosting services. And today we will start with the most popular informational services, such as OP.GG, LoLKing and else. This kind of services provides a lot of useful information about various leagues, from bronze to challenger. Using this service can greatly help you in future. You will always know about popular champions, their strong and weak sides, and the ways to counter them. Champion.gg is a LoL’s statistic website, that has its own great advantages. Most of other services do not provide a champion’s true performance if their play is not taken into account. But it is not a problem for the Champion.gg. Any champion can be selected in the played role, and you will receive a true statistics. Other info services provide info only in strict time limits (month/week/day). And in the end, the data will be not accurate; this gives an inaccurate view of the champion in the current season and patch. Champion.gg bases all data off the current patch apart from the player experience section. Some of the informational services do not show win rates for the various builds, masteries, runes, and other. But with Champion.gg you could always find Information of interest. This resource is still in beta, and every feedback is very important in order to get new patch data. But even now they are gathering data up to ten times faster than previously. If you compare their beta site versus current Champion.gg website, then you may notice some inaccuracies in win rates, champion builds, etc. This is because Champion.gg gathering data all over the world, from ALL regions, that means that the data will be updated much faster and will be more accurate. League of Graphs is an informative resource that provides a lot of useful info about the game, champions, etc. First of all, here you can find a detailed data about each champion in each league. Champion stats, where you can choose any Elo league and Role. Matchups that shows the best partners and the worst enemies for the chosen champion. Frequent champion combinations show which pair of champions is the most popular and have the highest win rate. Skill Orders. Here you can see which skill build is the most popular, and how often it leads to a victory. Builds and Items. The most popular combinations of items. Summoner spells. Quite a useless thing because almost all players prefer Flash – Ignite and Exhaust – Ignite combinations. League of Graphs provides a detailed info about each patch in an easy form, which interesting to read. It has such beautiful form that no one can stand and not read some of them. This can greatly help you to boost your skill and Elo. LoLKing once was just a dream of two casual players, and in January 2012 they decided to create informational web site after they tried to look for some data about their opponents in LoL. Many years after LoLKing became the most popular resource that even Joined ZAM – the most popular gaming resource with a lot of fresh gaming data. 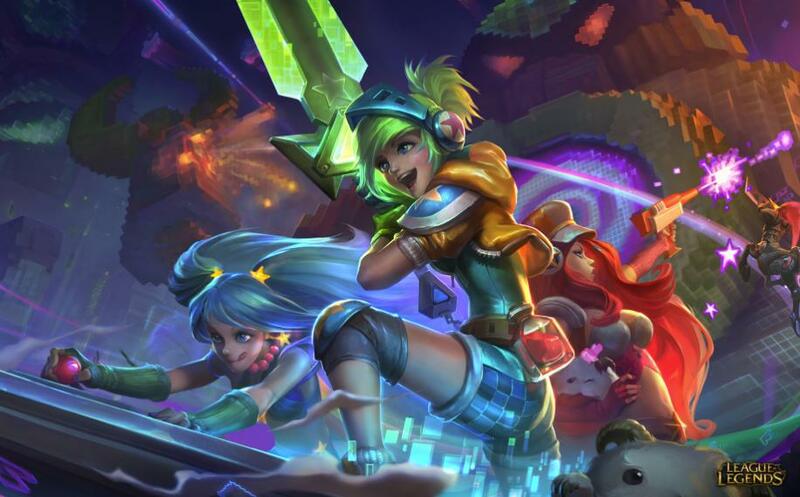 LoLKing provides information about any battle in summoners rift. After some researches, you will know which champion has the highest ban rate, which is the most popular. Who is the best counter pick against Kog’Maw and other extremely useful Data? But this is not all. LoLKing’s guide section is continuously updated, and here you can find fresh, an actual guide to each champion in the League of Legends. If you feel that you do not know how to play with the certain champion, then now you know the best place to find an answer. Boosteria is a boosting company with the fairest price list and the most professional boosters. This company was created for such category of players who dream about high rank but can not get through EloHell just because they do not have enough time. Also, this boosting service is used by the collectors, who just can not reach Gold League. And as we know, at the end of the Season Riot Games rewards all players in Gold and further Leagues with a unique Champion skin – Victorious skin. But what advantages can provide Boosteria and Elo boosters? Lowest prices among the competitors. And this is not because their boosters are worse than other companies have, this is because the percentage the company takes from boosters is tiny. Client-oriented support center. A client is always right, and this is a golden rule of marketing, that is used in LoL boosting services. Sales, Discounts, and Loyalty program. Yes, Boosteria has the cheapest price list even without discounts, but with discounts and Loyalty program this low prices just turn into tiny. Boosteria points. For each order, each friend that ordered by your referral link you will receive Boosteria point. For what you can use them? For even more discounts, of course! LoL Coaching. Ever wanted to learn all the tricks in League of Legends, but do not have enough of time? Professional LoL player will teach you everything he knows for a small fee. And this is not all list of advantages that this boosting company can offer to you. But besides them, Boosteria has their blog, where professional boosters posted fresh champion guides, unique articles about LoL, and League of Legends new skins review. League of Legends | Who are ADC?